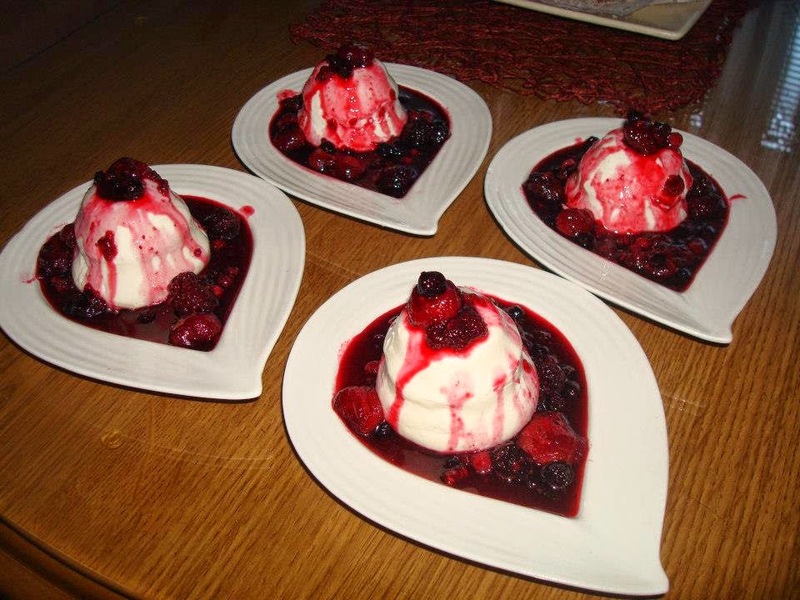 This amazing White Chocolate Panna Cotta with Berries recipe is so delicious. It's very easy to prepare it. My kids and family are in love with it. I hope you like it. Combine chocolate, cream, sugar and vanilla in a sauce pan over low heat. Cook and stir until chocolate is melted and the mixture is smooth and heated through. Set aside for 5 minutes. Dissolve the gelatin in 2 tbsp boiling water, set aside and allow to cool slightly. Add gelatin to cream mixture, stir and set aside for 15 minutes. Whisk in the yogurt. Pour into lightly oiled custard glasses and refrigerate for 4 hours. Mix the berries with the sugar and boiling water, stir and refrigerate. Un-mold the panna cotta and serve with the berries.